With all the changes and updates being made for J20, the core network certainly hasn’t been left out. We wanted to share with you a quick run-down of what we’ve been working away at, ready for the LAN. 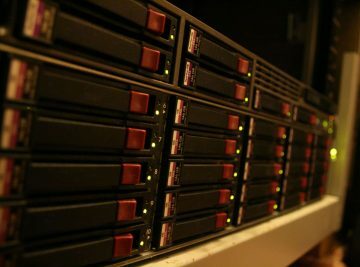 We’ve gone from having a couple of (poorly) thrown together computers for the caching and firewall, to dedicated servers which are racked up and ready to roll into J20. This means better flexibility, more power and improved performance. Along with this the network backbone is also seeing an update – going from a standard 1Gbps single cable link from the table switch to the main switch, to at least a 4-cable bonded trunk of 4Gbps, although this may increase at the event depending on setup. This allows greater throughput to our servers for when multiple attendees are downloading from the Lancache. We’ve trialed a basic steam caching service during the last couple of events, which for the most part worked fairly well and helped reduce internet traffic. For J20 we’ve upgraded to a dedicated server + Storage array totaling 3.3TB of space, which now handles Steam, Blizzard, Origin, Riot and Windows Update. The cache stores the install files + patches, so if you need to install a game on steam for example, the network will first check to see if it is available on the cache and will download it from there. If it is not available on the cache then this will be downloaded over the internet from steam to your computer, as well as to the cache so that the next person installing the game downloads this from the cache – reducing internet usage. Not content with just having the new servers and cache, we have now integrated statistic collection and logging for the network. Below are two examples of our new Lancache logging, which can show us what has hit the cache vs missed, along with what steam games are on the cache, which have been downloaded the most, and which steam ID has downloaded from the cache. Apart from helping us to monitor how well the caching is working, this will allow us to provide some nice statistics at the end of the event as to how much data was downloaded vs cached and distributed across the network. Along with Steam we can also display the other overall cache statistics, such as how many unique users (ip addresses) have downloaded from the cache, as well as what type of cached item has been downloaded the most along with total download size. Note on the pie chart below you will see cached windows updates have been downloaded in red, with the remainder being steam in purple. Along with caching statistics, we have also deployed network monitoring via our pfsense server and ntopng to help monitor how well our QOS is handling, and to effectively spot and resolve any potential issues (for instance if a torrent program was running and consuming excessive bandwidth). The other half of the network monitoring comes through our Observium set up which is set up to monitor all of our switches and servers. There are far too many graphs to display here, but below is an example of Observium monitoring our pfsense server. We don’t want the upgrades to stop with this event, and plan to further upgrade and improve the network infrastructure throughout future events – such as upgrading the network backbone to at least 10Gbps, switching the Lancache storage from 10k sas drives over to SSD for improved read / write times, adding further caching (uplay etc) and adding more servers to be used for dedicated game servers and streaming.